Bring on the Trumpet | Andy Wooler's latest attempt at a blog! It has been a while since I blogged on an LMS related topic – mainly because I have been too busy actually working on deploying a new one! I have previously written about the concept of “The Invisible LMS” (and here) back in 2015 and wanted to share my thinking today on how to make this happen. One of the tools where I believe we can leverage LMS functionality and data is in our Community and Collaborative applications – after all, our users are more likely to want to visit those on a regular basis than the LMS! Many people will want to spend time in a customer community or portal for example but only use the LMS because they have to. With this in mind, I recently spent a day with Stephan Müller-Ziebur and Stan Jeffres of Pokeshot whose Smarterpath add-on for Jive gives some good insights on how integrating LMS functions into your community tool can add real value. Whilst i will be using screenshots from their application, the principles behind integrating any LMS into any community or portal application are the key thing here. This is particularly important for those of you who have already made a significant investment in an LMS. I would look at this from two different perspectives – functionality and data. Of course, this is easy if you are a Jive customer without an LMS – in which case, Smarterpath may be one to add to your RFP list – they already bring the LMS and the Community together in Jive. 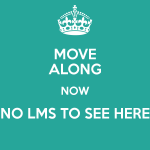 (Or indeed, you have an “unloved” LMS and are looking to change!). To find out more about why you might want to look at them click here. 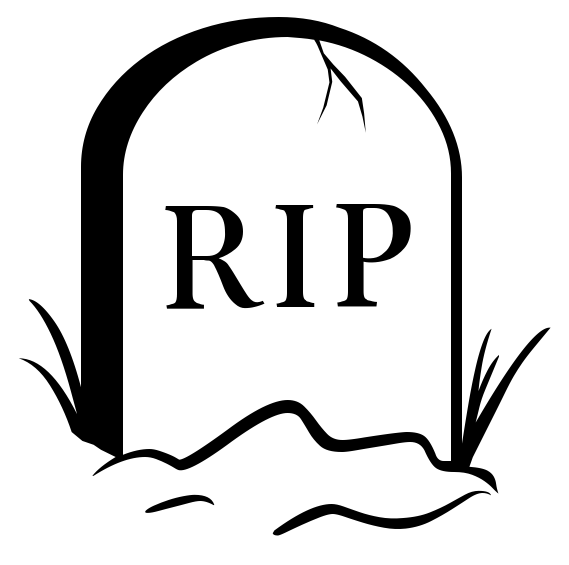 But for those of us that have already invested heavily in an Enterprise LMS, such as Cornerstone, Saba, SumTotal etc, or collaboration platforms such as Jive, Yammer, Sharepoint etc, this will not be an option. For those of us who have Jive, the solution is simple – Stephan and the team at Pokeshot can develop a widget for Jive that would enable this to be achieved, regardless of which LMS vendor you have chosen. More to follow on that once I better understand the development cost. This is where the thinking in my earlier blogs comes to life! As I mentioned then, the 2 keys to this are API’s and xAPI (TinCan). Since writing back in 2015, I have already worked on a project where a learners current LMS enrolments are bought into Customer & Partner Portals using web services – taking the learning to the learner at a potential point of need. Customer support portals are where a user will need to go to get documentation, patches and to log support calls – where better than to remind them of the learning available to them? Future plans include extending this to include Certification status – this is often something that Partners need to know to be able to maintain their Partner status or level so making this visible whenever they visit a partner Support portal makes perfect sense too. To date, I have used internal resources to write the web service calls – but once again, Stephan’s team can help you if you are a Jive customer and do not have the relevant skills in-house. But what about data coming out of the communities? Or indeed, useful content found by learners elsewhere that they want to have recorded in their learning history? This is where xAPI can fit in. This does of course mean that your collaboration tool needs to be xAPI enabled and that your LRS (Learning Record Store) can be the destination for any data you wish to capture. Using Jive once again as an example, the application doesn’t have any xAPI capability out of the box. The good news for jive users is that this is also something that Pokeshot can develop – they already have xAPI tools for Jive and I am looking at the development of a widget that could be used to add a marker to any data item you want to track and for that to be passed to your LRS, regardless of which one you are using. Once again, more on this to follow as we know more about development costs! You don’t have an LRS? Not a problem – you can wait until your LMS vendor catches up or you can look at an LRS that is a stand alone tool! 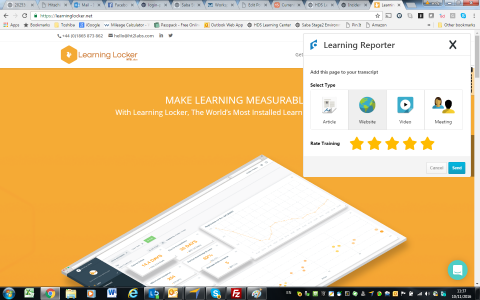 Check out Learning Locker, an open source LRS option. The final part of the xAPI jigsaw is how to capture useful learning that the learner has found all by themselves – and this is where the smarter LMS vendors are developing tools to do just that! In the screenshot above, I have triggered the “Learning reporter”, part of the Cornerstone LMS. This neat tool will send back information on this item to the Cornerstone LRS which will then place it in my Learning transcript as a completed item. Neat! But why would you want to do that? (and I have been asked this many times!). We can better understand if such content is contributing to the performance of our top people. For example, if we discovered the top 10 sales guys also all watched the same motivational video, maybe we should be including it in our sales training curriculum? It supports the idea of self-directed learning and enables learners to include external content when reviewing their training plans as part of a performance discussion. As a final thought, I have focused so far on Collaboration and Community tools. But there is another place you might want to surface your LMS based learning content – SFDC. 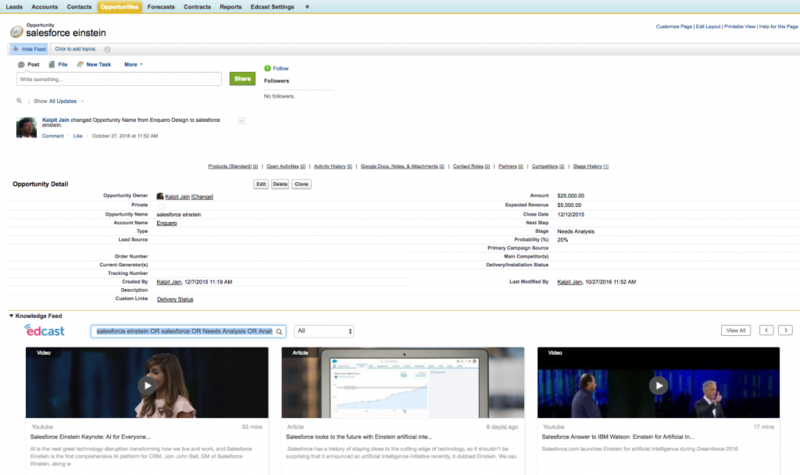 The power to be viewing relevant content whilst viewing an opportunity in SFDC is available today from EdCast – worth checking out! The use of collaboration tools like Jive in learning is not new – Higher education organisations have been early adopters. (The UK’s Open University were using the “First Class” collaboration tool when i was a student back in the late 90’s!). And there is a lot of interest within the Jive learning community on how the product can be used to support learning activities. Much of this though has not focused on the LMS aspect of this which can be very important outside of Higher Ed and particularly, in highly regulated businesses such as Financial Services & Pharmaceuticals. Whilst the suggestions in this post should be viewed generically, with my involvement with Jive products, I cannot avoid focusing on that! I hope though that you will be able to translate the principles here to your own choice of Collaboration tools. I believe then that it is imperative that we have a learning stream at the next Jiveworld conference which includes presentations/discussions not just on the use of the native tool but also on associated technologies and specifically, the LMS. And of course, i have already submitted a speaker proposal on this! If you are a Jive customer, get involved in the Jive Learning Community and let’s make this happen! Great uses of Learning on Video. I am occasionally knocked out by the effectiveness of some of the video I see that is freely available on YouTube – especially that many people are making these available at no cost too! This brief post was inspired by something I was sent by a fellow trumpet play on Facebook today which featured the highly talented trumpet player, Dominck Farinacci who has created a series of tutorials on a variety of brass techniques using the music of Clifford Brown. This example is about “Ghost Tongueing” – his explanation is superb and something I will be personally working on ! Clifford-isms (Part 2/3): Ghost TonguingPart 4/8 of the #CliffordBrown Educational Series. This post deals with Ghost Tonguing, one of the most defining characteristics of Clifford’s playing. (Select HD for best viewing). I know I had said this series would only be for October, but each video ended up getting more in depth than I initially anticipated, and I’ve gotten so many great questions from you about specific aspects of his playing, so I’m dedicating a little more time to tailoring them around the requests. Thank you all for your comments and interaction throughout this series! (A by product of this post is that I also had to learn how to embed a Facebook video into WordPress!). Here’s Dominick in action – I love the fact he is taking time on the tour bus to do this and is counted in by the driver! My second example is the awesome Astrid – Astrid is a teacher and creates highly engaging videos on a variety of topics and as it is Christmas time, here she is explaining where German words end! Next, a short but effective video from Don Taylor on how to run a great webinar. (check out his ebook on this too!). Don also runs an annual survey on “what’s hot” in Learning and Development – the current survey results have Video well towards the bottom of the list – but I think this is a reflection of the fact that Video has already become a standard tool of choice. Finally, the work of Outtakes continues to impress – they have taken the art of interactive video to a new level with their DAz technology. This enables video to having moving “hotspots” which take the viewer to additional content and is also now trackable using SCORM or TinCan xApi. Video isn’t hot, it’s just business as usual now! This entry was posted in Uncategorized on December 4, 2015 by admin. One of the biggest complaints I see in the press today is about NHS funding – and for me, that’s where the problem lies. I see so many comments like “the government isn’t putting enough funding in place” but let’s remember, it’s not the government that funds the NHS, it is you, the taxpayer! So when you say the state isn’t paying enough, what you are really saying is “I am not paying enough!”. And that is where the German system is so much better! 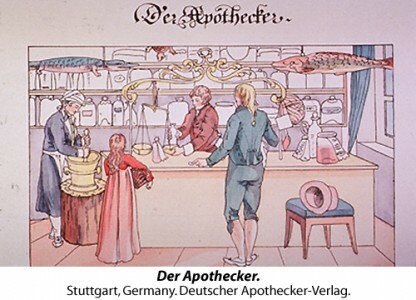 Funding for healthcare is all done through the various “Krankenkasse” – an insured scheme whereby the funding for healthcare is isolated from your general taxation. And yes, I have to pay a lot for it – but isn’t that the best way to ensure that the service I receive is top class? None of my payments to healthcare get diverted to fund illegal wars & there is no variation from one county or country to another if I need specific drugs. Pensions and long term care are also separately funded and unlike the UK’s National Insurance Scheme, there is no shortfall between funds coming in and payments going out. NHS + Private Medical Insurance – Make an appointment to see GP, ask for the referral straight away, get an appointment within a couple of weeks. X-ray equipment on site, CT Scan wait was just 1 week.Any prescription costs are at cost price of the drug – for many items, this may be lower than the NHS prescription charge. if not, a smart Consultant will write you up for enough for a few days and refer you back to your GP where you can then have further prescriptions at £8.05 per item. Germany – without an appointment or referral, go direct to an ENT specialist and simply present your health insurance card. I had to wait just 30 minutes to see a Consultant who had all of the specialist equipment on site. Prescription charge (which does depend on which insurer you are with) just €5 regardless of how many items. As you can see, a superior experience than I ever had in the UK even with BUPA cover in place! Of course, many will ask “What about the unemployed and low income families”? Premiums for the Krankenkasse are based on income and if you choose one of the State approved schemes (there are 2), the premiums are also regulated by the State. If you are unemployed, you will be covered for your healthcare under the separate payment you have to make towards Unemployment Benefit. So in summary, healthcare funding is ring-fenced to ensure a properly funded healthcare system. And in my opinion, that is exactly what is needed in the UK to get the NHS back on track. National Insurance payments need to be also ring-fenced and at a level that can sustain the service we all want to receive. That will mean people earning more pay more – I’m not a Labour supporter but even they ought to approve of that! The NHS funding problems cannot be fixed without a radical overhaul of the National Insurance scheme with a focus on employer/employee contributions being at a level where a proper service can be delivered. If we really want a world class healthcare system in the UK, it is we, the taxpayers (and yes, I am currently still paying some UK tax!) who have to accept that we have a part to play in this through more realistic contributions into a a scheme where we can be sure that our payments all go towards healthcare. It was a real honour when Don Taylor asked me to chair 2 sessions at Learning Technologies this year. This is THE go to conference for me and is fast becoming the annual meeting of my PLN (Personal Learning Network)! When I first started out in the world of Learning Technology, I was fortune to be introduced to a number of people who have helped to shape my thinking in the early years and I was delighted that one of my sessions included one of these people – David Wilson. Being a part of David’s Corporate Research Network over the years has enabled me to get to know so many of the leading figures in the LMS world and it was great to see so many of them at the Conference. Sadly, my duties clashed with some other good sessions but thanks to a great backchannel, managed by the lovely Kate Graham, I was still able to pick up on the key points. Another great resource is from David Kelly who has curated a huge amount of resources that were shared during the sessions – check it out here! My thanks also to my LMS panel speakers – Stuart Bennett, Stephen Macdonald and Randall Roberts. With a focus on Learning Management Systems, these 2 sessions proved that the LMS is alive and kicking – reports of the demise of the LMS are way off the mark! If you missed the 2 David’s session, you can download their updated 9 Grid analysis here. For me, this conference is as much about the conversations that happen outside of the seminar rooms as it is the conference content. One such conversation with Donald Clark and Nick Shackleton-Jones on the topic of Adaptive Learning led to my joining Don’s session to add my perspective from an organisation that is using Adaptive learning right now, Watch our for more on this hopefully at the learning & Skills Group event later this year when I am hoping to team up once again with Don on this topic. Don is also someone from whom I have learned so much over the years and once again, an honour to be asked to join him on stage. My time on the exhibition floor was mainly spent chatting to old friends – it was good to see many of my former colleagues on the Kineo stand and to see that the company is going from strength to strength since becoming part of City & Guilds. The exhibition floor was packed – for me though, nothing stood out enough to warrant any in depth conversations with new vendors. But I put that down to the fact that I work in a highly innovative organisation that is already exploring the newer technologies such as Adaptive Learning.For a more comprehensive view on the exhibition, Craig Weiss will be posing his review shortly – worth checking out when he does. Finally, having recently shed my “Ned Flanders” look, a lot of people had to look twice before realising it was me! So, if you think you might have seen me there but weren’t sure, you probably did! I’ll leave you with one of the best quotes of the event from David Perring: “Learning is the engine room of Talent”. See you all at the next one! The LMS is Dead! Long Live the LMS! Is it really 50 issues ago that “Inside Learning Technologies and Skills Magazine” was launched? Congratulations! At 15 years old it is older than most LMS vendors. And during those 15 years, the death of the LMS has been predicted with regularity. But is that really the case? In this article I’ll discuss the origin of the learning management systems, its evolution, and what the future LMS might look like. Most of the long standing LMS systems evolved from tools created to help manage the administrative burden of Instructor-Led courses and as such they are not there to manage your learning but to manage the processes around that learning. They were (and in some cases still are) training administration systems rather than learning management systems. And despite an explosion in eLearning over the last 15 years the classroom hasn’t gone away. In my own organisation, 60% of the customer training takes place in an instructor led event, although of course, the use of virtual classroom technology has increased significantly too. In complex global organizations such as the one I work in where we train resellers and customers as well as our employees, training administration goes way beyond managing classroom registrations, and LMS’s now include capabilities to manage financial transactions including credit card payments and volume discount programs. And of course modalities have exploded. First came elearning. But that wasn’t totally new either – computer based courses had been with us for some time, both as CBT’s you ran on a PC or interactive Laser Disk-based or tape-based courses. When the World Wide Web came along, it was an obvious move to put these courses onto a web platform – and where better that the LMS? The desire of many organisations to track and record all learning made the LMS an obvious choice at the time. Since then we’ve added video and podcasts and job aids – the list goes on. And having spent over 25 years in Financial Services, the advent of more regulation led to a bigger need to record Compliance related courses to appease the regulators. (Whether that is a good thing is another debate!). In the last few years, we have seen the addition of Performance Management, Talent Management and Social applications. But for many vendors, the heart of the system remains the management of the processes behind these use cases, which may go a long way to understanding why the user experience is often awful! I once attended a demo of a new LMS whilst it was still in development. The demo used emails with embedded deep-links, and at one point one of the attendees asked the question “but what does the UI look like?” The response was way ahead of its time: “Why would anyone want to use that when they have quick access this way?” How right he was! One of my favourite training sayings is that “learning should be a part of work, not apart from work.” By this, I want to see easy access to relevant content at the point of need. For example, if you need to learn about a product – say a CRM system – then why not have that learning accessible within the product itself, rather than forcing the user to go hunting for it in an LMS? Or have mobile device access to specific content accessible via a QR code on hardware so that the engineer has all he needs on site when he gets there? The user experience is probably the most often criticised aspect of any LMS – and rightfully so! But that is no surprise when you consider my earlier point that the LMS is predominantly there to manage the administrative processes around learning. This, though, is changing, and not necessarily just by the UI improvements made by the software vendors. I said earlier that like many other companies, my organization teaches customers in addition to our own employees. Customers interact directly with our LMS, but also with our dedicated customer portal, our online community, our main .COM site – and many other web properties and applications. Our customers would prefer a single place to go to get all the information they need, and the ability to surface functions from the LMS using web services is now an important part of an LMS procurement decision. …all without going to the LMS user interface. 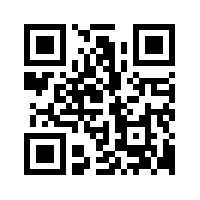 The second aspect of the delivery at point of need is the ability to deep-link direct to relevant content (a URL that takes the user directly to the content object), either as links in the customer portal or via a QR code. Once again, the LMS needs to be able to provide these links and should become another important part in vendor selection. Whilst the core administrative function of the LMS will be needed as long as the classroom is alive, its days delivering page turning elearning are surely coming to an end. My own organisation is now working with “Adaptive Leaning” – think of this as the idea of the course without an end or a never ending skill/competency assessment that is dynamically adapted minute-by-minute to the unique needs of every student. SCORM has no role to play in this, as there is no concept of completion in this new world. Of course, the LMS may well still be where a learner can access such “courses” but the tracking of progress will be taking place outside of the LMS. In our case, learning objectives will map to skills or competencies and we may want to bring this together with the remainder of our learning data. But does that need the LMS? Not necessarily! With the emergence of “Big Data” thinking in the learning space, much of this analysis will be taking place in a data warehouse rather than the LMS itself where it can be combined with other customer data such as CRM sales data, Support Desk call data and even data from Social Media and company collaboration tools. Learners will eventually want their data to be portable and the power of the Tin Can Learning Record Store (LRS) will come into play. I do hope they will not need by then to use the system user interface! The LMS of the future will be delivering all of this at the point of need with content being surfaced via API’s into Customer portals, Collaboration sites, mobile devices and directly into the workflow. And LMS data will no longer be analysed in glorious isolation! The LMS of the past will be consigned to history – but the things it does well will be done even better and users will not even know they are using it. This entry was posted in Uncategorized and tagged LMS on December 21, 2014 by admin. One of the things I find amazing about musicians is their capacity to innovate – and I don’t just mean new technologies. One definition of innovation from The Business Dictionary is “the process of translating an idea or invention into a good or service that creates value or for which customers will pay.” – and there some great examples of people who have done just that: taken a good song and done it in a way that is very different from the original. I think we will be hearing a lot more about Kate Davis! There’s also a good parody of this song here. So instead of “if it isn’t broken, don’t fix it”, maybe your business should be thinking “if it isn’t broken, make something new out of it” instead to increase product reach and ultimately, sales revenue. Of course, it isn’t always someone else improving your song though! There are many examples of a band releasing a totally different version of a song that is very different to the original. In this way, Eric Clapton extended not only the life, of “Layla” but would have increased the royalties on the way! (and with the introduction of payments for musicians if you play any of these video’s, you too will have contributed!). Remember that your next killer product could be someone else’s dead product or a second lease of life for one of your own older ones! And simply changing the name isn’t enough – Snickers is still a Marathon bar! 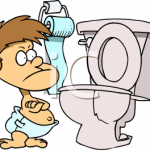 This entry was posted in Uncategorized and tagged Innovation on October 8, 2014 by admin.